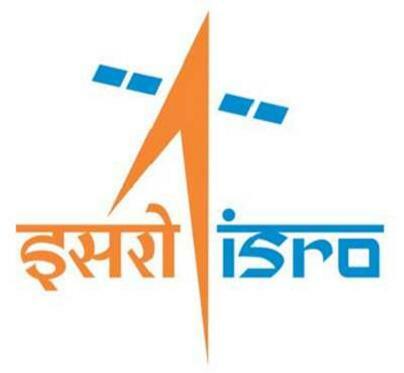 VSSC Recruitment 2017 Online Application (30 Vacancies): Vikram Sarabhai Space Centre (VSSC) Thiruvananthapuram has been published recruitment for below posts. Online Applications for recruitment position of Post Graduate Teacher (PGT), Trained Graduate Teacher (TGT), Technical Assistant, Scientific Assistant, Library Assistant, and Catering Supervisor. The last date for submission of online applications is 24th April 2017. (1) Two years’ Integrated Post Graduate M.Sc Course of Regional College of Education of NCERT. (OR) Masters Degree in concerned discipline from a recognized University with at least 50% marks in aggregate. (2) B.Ed. or equivalent degree from recognized university. (3) Proficiency in teaching in Hindi and English media. (1) Four years’ Integrated degree Course of Regional College of Education of NCERT in Sanskrit with at least 50% marks in aggregate. (OR) Bachelor’s Degree with at least 50% marks in Sanskrit in all the three years from a recognized University. (2) Pass in the Central Teacher Eligibility Test (CTET), conducted by CBSE in accordance with the Guidelines framed by the NCTE for the purpose. (1) First Class Diploma in concerned Engineering Discipline. (2) First Class Post Graduate in Library Science/Library & Information Science or equivalent. (1) Bachelor’s degree in Hotel Management/ Hotel Management & Catering Technology/Hospitality & Hotel Administration/ Catering Science & Hotel Management with one year experience (OR) Diploma in Catering + 3 years experience (OR) PG Diploma in Hotel Management + 2 years experience. (2) The experience should be in the supervisory capacity in an Industrial canteen or an established hotel catering to more than 300 persons. Candidate should be capable of providing top grade canteen services using modern state of the art kitchen equipment. The experience should be after obtaining the relevant qualification. Application Fee: ₹ 250/- for each application. The Fee may be paid online through Credit Card / Debit Card / Internet Banking or can be deposited in any State Bank of India branch through SBI Collect facility. No fee for all Female/ Scheduled Castes (SC)/ Scheduled Tribes (ST)/ Ex-serviceman (EX) and Persons with Disabilities (PWD) candidates. How to Apply: Eligible Interested candidates are required to apply online. The Online Registration through VSSC Official Website. The closing date for submission of applications is 24/04/2017 up to 17:00 Hours.